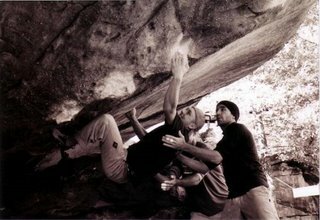 It’s not a big secret that Horse Pens 40 has some of the best bouldering in the Southeast and arguably in the whole country. I have been to only a handful of the “destination” bouldering areas but it is hard to argue against HP40. I have yet to go to a bouldering area with a shorter approach or flatter landings. 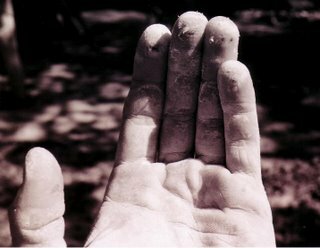 Plus where else can you go climbing that your hands end up looking like this from the slow sandpaper like affect the sandstone has on your fingers. These are the kinds of pictures that make me look forward to getting healthy in time for my trip to HP40 in early April.